An example of the Aqua z Zone park being considered for off Montrose Avenue. A company considered floating the colorful, obstacle-filled Aqua x Zone park off Montrose, but the Park District took a pass. EDGEWATER— A huge “inflatable water park” called Aqua x Zone has been scrapped by the Chicago Park District — at least at Montrose Beach. 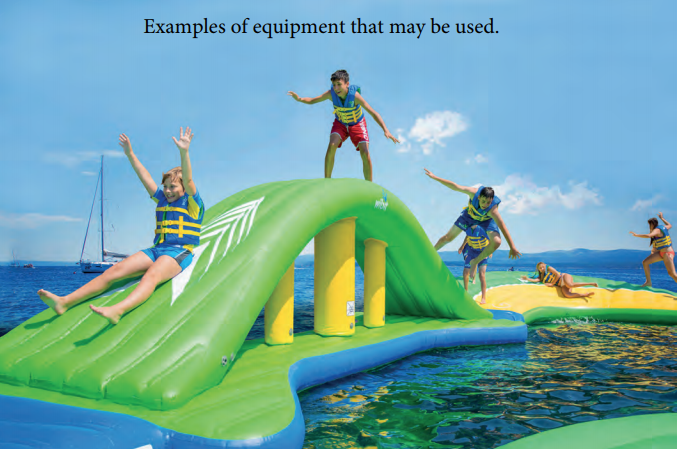 The proposed water park would have been made up of inflatable pieces — including ramps, slides and walkable paths — that would be anchored down while floating in Lake Michigan. A diagram included in the proposal for the park shows it would have taken up a 167-foot-by-131-foot space in the water. While a proposal submitted to the Army Corps of Engineers suggested the park could be located at Montrose Beach, the Park District sent out an email nixing the idea Tuesday. A proposed spot for the floating water park. [Ald. James Cappleman’s office]. A Chicago Park District spokeswoman said the park won’t be possible this summer at Montrose Beach but “can be considered in the future at any Chicago-area beach.” Last year, the Park District nixed a different plan for a surf park at Montrose in part due to concerns about how it could affect the area’s birds. “We don’t know that it will happen at all,” said Tressa Feher, Cappleman’s chief of staff, adding the water park owners were “just in talks” and were looking at several locations. 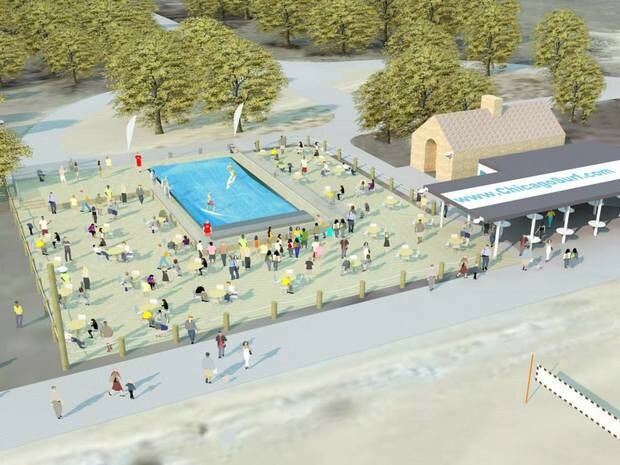 After the proposal was nixed by the Park District, Cappleman’s office sent out another email to residents to tell them the “floating water park is no longer under consideration for Montrose Beach. “The Park District made the decision in response to public feedback about the proposal,” Cappleman wrote. At an inflatable Aqua x Zone park in Utah, tickets cost $15 to $50 depending on the age of attendees and how long they stay. That park is “designed to allow up to 65 people to run, jump, swing and swim at any one time,” according to the website for Aqua x Zone, which could not immediately be reached for comment. 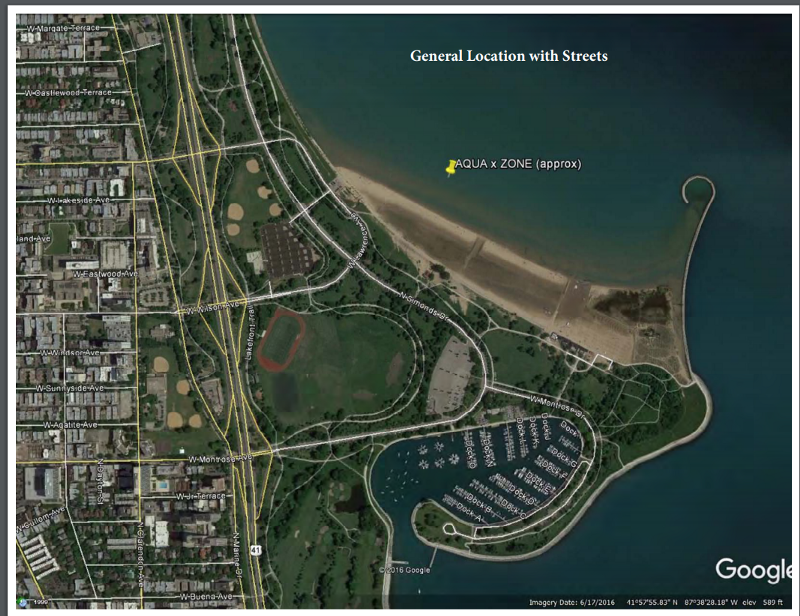 Here’s what the proposed surf park for Montrose Beach looked like. That plan was also nixed. The proposed surf park that was never built.